This morning I was reading about “the perfect day”. The post was written by somebody that I’ve been following on YouTube for a while now. I find it interesting in life we often seek out these perfect days, sometimes very consciously, and other times they come to us by happenstance. But when they actually happen, we definitely take notice. We are happier and tend to have a more positive outlook on things. We feel warm and fuzzy in those moments and generally don’t want those days to end. It makes me think back to when we were in school and didn’t want summer vacation to come to an end. Becky and I frequently voice our feelings of gratitude of a great day, weekend or moment. Completely thankful of what we have in our life together. Our garden is mostly planted, except for our tomato seedlings and a few others, as this week we are expecting a cold snap for 2 or 3 nights. 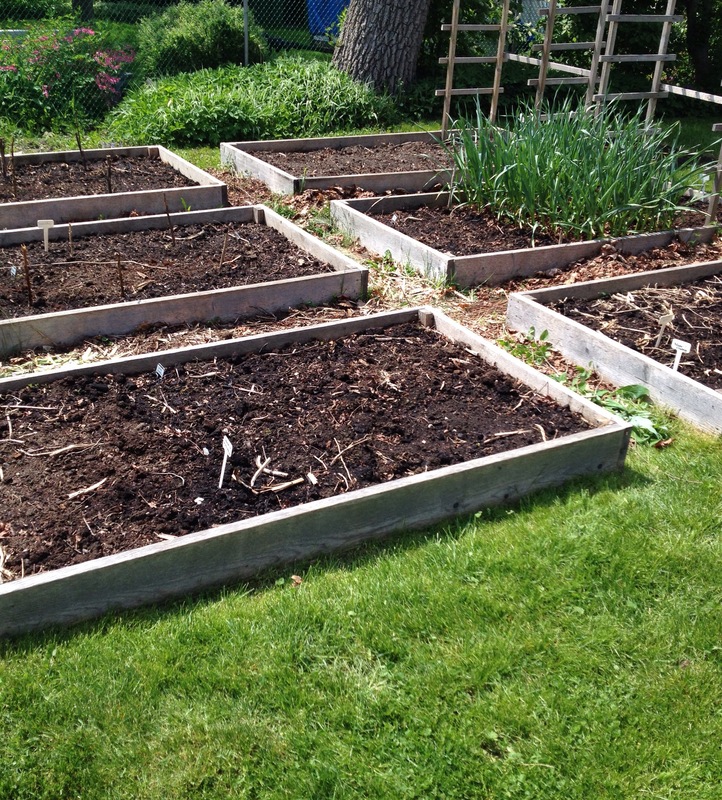 Time to sit back, relax, and enjoy looking at an empty veggie bed knowing that within a matter of weeks it will be filled to overflowing with every manner of homegrown veggie. Or, in Becky’s case, time to sit back and enjoy the rest of the day with a good book. Every year we grow the majority of our vegetables from seed. There are always a few items which we purchase as seedlings from a greenhouse operation about an hour outside of town. It’s a long way to go but the prices are very good with a great section of….well everything. Stay focused. Follow the plan. Bring the list. Oh, look at that over there! Focus. Stick to the list. Back at home with a trunk load of great stuff and nowhere to plant it all. This usually leads to more grass being dug up and removed in favor of more useful items. Most of all Becky and I simply enjoy going for a leisurely country drive. We have always had great chats in the car. This trip was no different. However, as we turned of the road into the parking lot we quickly noticed something was terribly wrong. Their once sprawling greenhouse were now in a state of being disassembled. What!? They shut down operations. No signs indicating a move to another location. Just shut down. Very sad. We have a backup place to buy from which is only 10 minutes from home so we came back and purchased from them. Two years ago we planted potatoes for the first time. I always wanted to but we don’t really have the space for it. After reading many things in internet-land about growing potatoes in a box, in order to use vertical space, I thought I would give it a try. ……didn’t work. Dreams of pounds and pounds of potatoes spilling out turned out to only be about double what we planted. Not a very good return on our veggie investment. While in Prince Edward Island (Canada’s potato capital) last year we spoke with the owners of the B&B where we were staying. They had a large size patch of potatoes growing behind their house. What’s the trick we asked. Just throw them in the ground and basically ignore them was the response. So this year we thought we would give it another go. In they went. Now I’m doing my best to ignore them. Little sprouts coming out of the ground….sorry potatoes, I am ignoring you right now. We are both still trying to find our gardening legs. Meaning, we haven’t gotten to the point this season where we come in at the end of the day and aren’t completely sore, or where we don’t wake up with sore muscles from the previous days hard work. 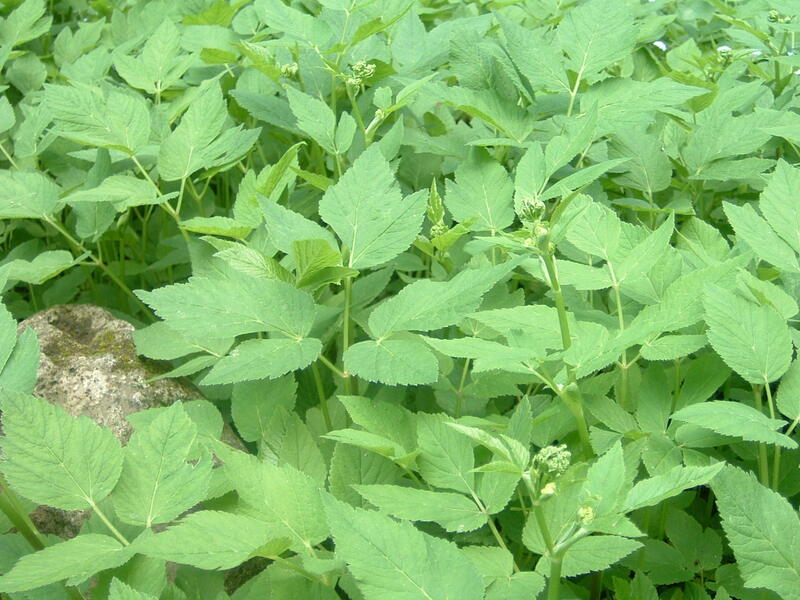 Speaking of hard work, has anyone ever successfully gotten rid of Goutweed? We have a large patch of it which we have tried to battle for about 6 years now. So far nothing has worked. It’s terribly invasive. Becky once heard the best response so far – the only way to deal with it is to move! Any thoughts or suggestions? On a completely different topic, I am having difficulty getting my blog posts to automatically show up on my Facebook account. I set it all up a while back and everything worked smoothly. Each post transferred over without a hitch. Then for some reason my last three posts didn’t transfer over. Just wondering if anyone has encountered this. On yet another different note, I have been trying to post this all day. WordPress had been acting crazy on every device I’ve tried to use. Pictures disappearing, revisions not showing up after I’ve saved a draft, spacing between paragraphs disappeared. Very frustrating! So I will try to update now. Please excuse any errors on this post. Posted on May 18, 2015, in Homesteading In The City and tagged Canada, driving trips, garden centre, gratitude, growing vegetables, Homesteading, perfect days, potato, Prince Edward Island, veggies. Bookmark the permalink. 13 Comments. It would be nice to think about it in a different way that could be useful / helpful. I haven’t but I’m reading an amazing herb book right now that agrees it can be used medicinally or as a spice. I don’t have any growing and haven’t purchased it. What’s the name of the book? If you don’t mind sharing it. So I just double-checked and I must have read that in another book. Gifts of Herbs doesn’t talk about Bishop’s Weed. Thanks for letting me know. The book still sounds like an interesting read. Thanks Roz! How is the weather in your area? Have you been able to plant outside your polytunnel yet? It was 4 C here last night so I had to bring my seedlings back in the house. I have never heard of goutweed and am happy for that. Have you tried covering it’s growing space for a few seasons, maybe a year, to block out it’s light supply? Or maybe the space is too big for that. Your garden beds look nice. Johnny and I have been thinking the same, soon there won’t be a moments rest from the garden. Though today has not delivered the weather predicted so nothing will be planted out. Again, the wind is rattling off the roof and the tree is whipping around. I think its also called Bishops Weed. I found a video on the internet which should one woman’s solution….she burns them! She knows it only works for a while because the smallest piece of root which is left in the ground will sprout a plant in a matter of days. She just seemed to get some level of joy out by torching the little suckers. 🙂 Most people suggest digging up and removing all the soil, and fill with new soil. Not really an option. What a nice memory of the family country drives. So sad when you go back and the area has been replaced with a big box store or strip mall.